Second-hand stores, garage sales, and thrift shops are like a den for good finds. However, if you found something together with your purchase, wouldn’t you feel like you’ve hit the jackpot? 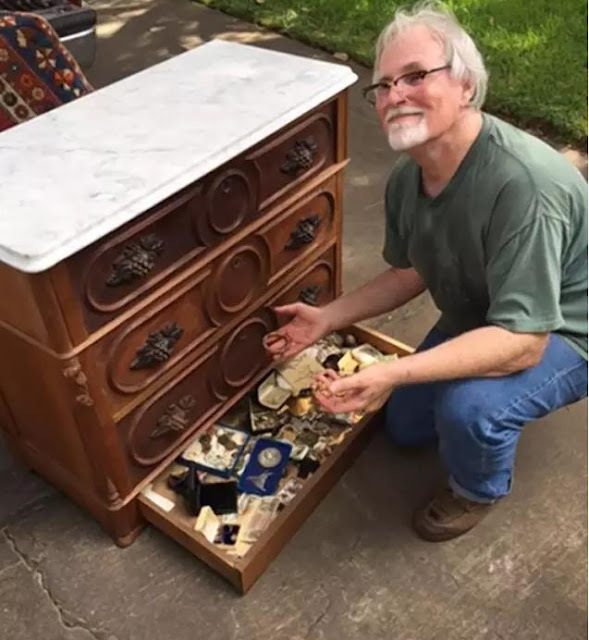 A 67-year old man named Emil Knodell, who was born from Texas had one day stumbled upon a garage sale. He is s huge lover of antique furniture, so he decided to check it out. As he was browsing, he saw a beautiful wooden cabinet with marble top. He admitted that the marble top was the one that attracted him to the cabinet. So he went to talk to the owner. 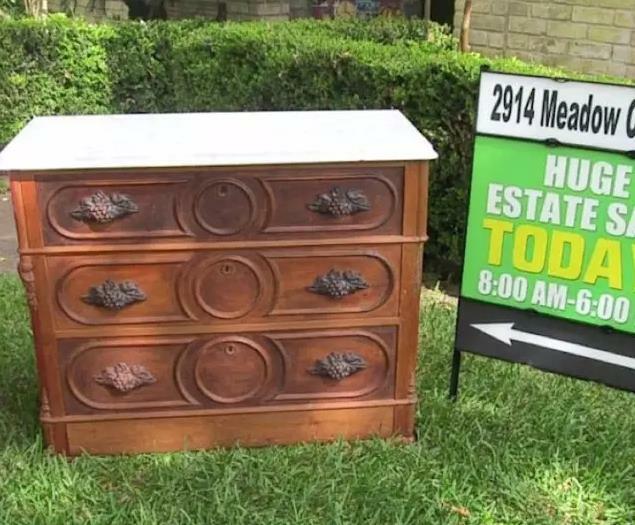 Apparently, the garage sale has been going on for days, and since the cabinet has stayed, he decided to reduce its price to $100. 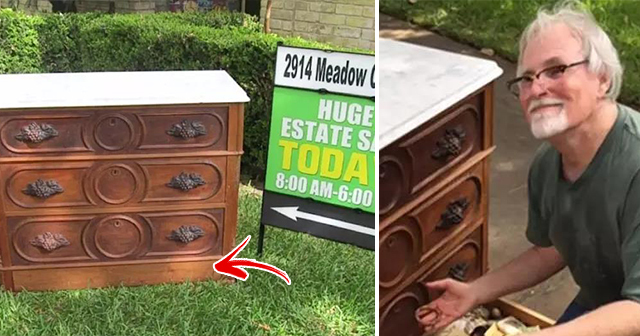 The seller also shared that the cabinet is 125 years old! With the cabinet’s fine details, beautiful wood finish and clean crafted marble top, Emil decided it’s a good buy, so he went to take it home. As they were lifting the cabinet, they heard rattling sounds coming from inside the cabinet. They went and checked the drawers one by one, touching every corner and crease to find the source of the sound. Then they found a secret compartment at the bottom! The surprising thing is, inside the compartment was a load of treasure. 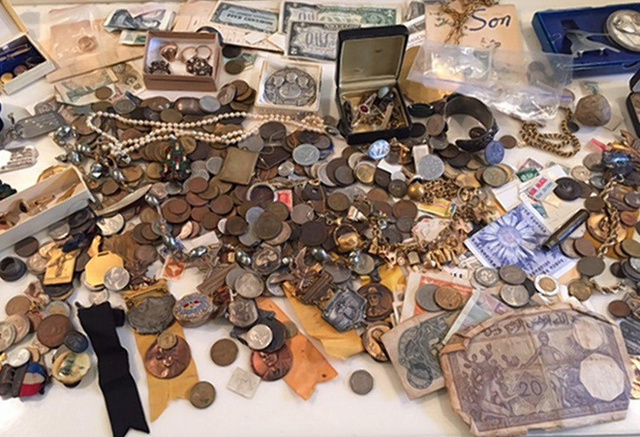 There were jewels inside as well as diamonds, cash, and items that dated back in the civil war. It was a lucky find and Emil at first thought what he should do with it, and after some time he knew exactly what he should do with the jewels. 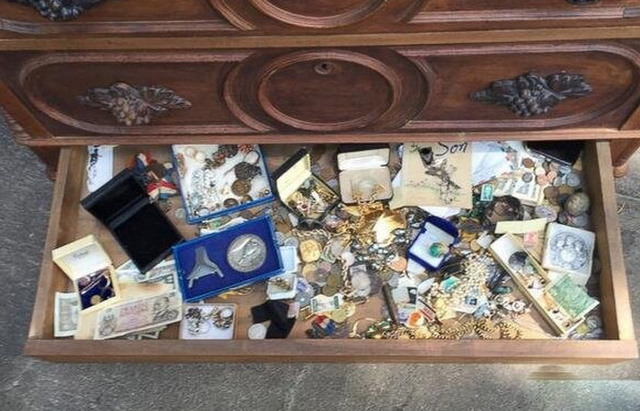 He then contacted the seller and explained that he found some valuable stuff inside the cabinet. The owner’s grandparents were apparently the first owner of the cabinet. 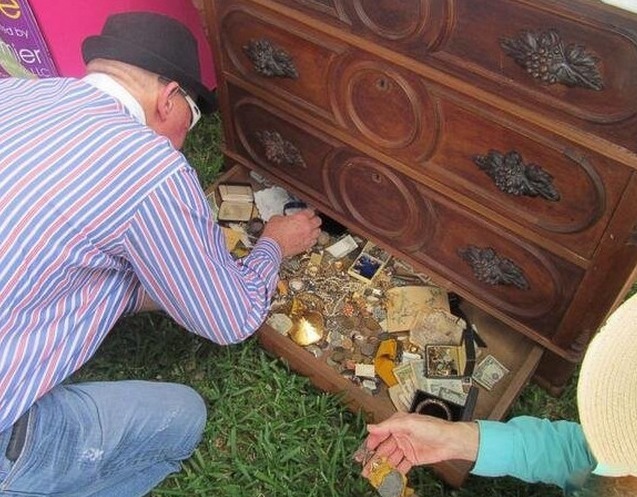 Emil decided to return the items to the seller and said that he only bought the cabinet and not the treasure inside it. 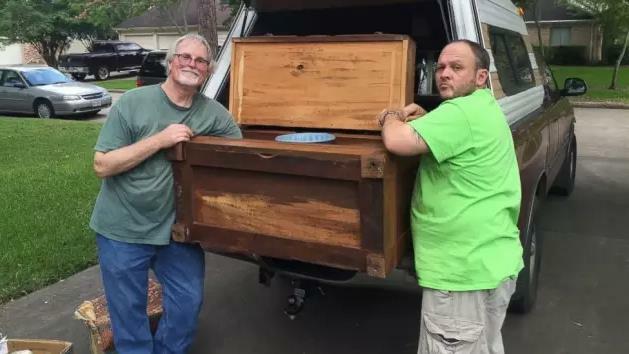 The owner was surprised and offered to split the treasure between them, but Emil refused. It was an excellent thing Emil did. While other people might keep the treasure for themselves, Emil was honest and returned the heirloom to its rightful owner. Kudos to you Emil.